The Chinese regulatory problem has certainly shackled the potential for poker growth to some degree, but it hasn’t been entirely restricted. Having been established in 1998, Ourgame have since been listed on the Hong Kong stock exchange in 2014. During their earlier years, the internet was still in it’s infancy, particularly in China, and Ourgame was pivotal in helping usher in a new internet era in the country. Online card and board games have always been at the centre of what Ourgame offers, and the company has become famous for being one of the leaders in this area. Card and board games have been a part of Chinese culture for countless years, and Ourgame has always helped promote these online, alongside other mind game offerings. The company has more than 500 employees working for them, and offers popular games such as Go, Chess, Mahjong, Bridge, and many others. They also help organise live tournaments for these games. Poker is another game in which Ourgame have been playing an important promotional role within China. They were working alongside the WPT for a long time before eventually buying the rights to WPT for $35 million, back in 2015. CEO of Ourgame, Frank Ng, spoke of his pride at the acquisition: “World Poker Tour is unquestionably the global leader in organizing world-class poker events, and we are very proud to acquire one of the world’s greatest brands.” Since that buy out, Ourgame have helped promote the WPT, along with poker itself, throughout Asia. One of the most important aspects of Ourgame’s success, has been their self proclaimed stance as a social gaming company, not a gambling one. In order for widespread poker popularity to become a reality in China, it is important to underline it’s status as a mind sport, and as separate from almost all other gambling activities. 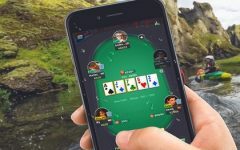 Most casinos and sports betting companies have offered poker as a way to try and entice poker enthusiasts into sports betting or table games, but Ourgame looks to take poker in a cleaner direction, putting it alongside other much loved mind games. There would certainly be very little chance of the legal views towards poker changing in mainland China if it continues to be presented as just another gambling game. 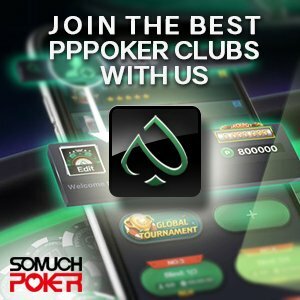 The approach of Ourgame, it should be argued, fits better with what poker is at it’s core, and promotes poker in the correct way. The poker games on offer at Ourgame’s PokerMonster site, are all centered around Holdem, with stakes being entirely in a “gold” currency, which is essentially just a way to firstly, keep score, and secondly, exchange gold for WPT packages, or real cash. The gold stakes range from 10/20 to 1M/2M ($10/$20), and players can purchase gold from Paypal or Money Online, at a rate of 660,000 pieces, for $9.99. If you wish to find better exchange rates or to sell your gold to real cash, please contact us.